While she hopefully will never need the first group, she has required the assistance of the second. Grappling with physical disabilities, Rivka regularly uses the Mei Menachem Mikvah in Hallandale, Fla., which is handicapped-accessible. Why, according to Jewish law, does building a mikvah take precedence over building a house of worship? Mikvah represents the ultimate celebration of life and of the power given by G‑d to women to create life. In addition, many couples who observe the laws of mikvah insist that it helps keep their marriage fresh and exciting. The Jewish people owe their remarkable longevity throughout history in large part to this most vital mitzvah. But what about women who physically aren’t able to descend the steps into a mikvah? Several Chabad Houses have taken that into account, and more are working to make that possible; as a result, a growing number of mikvahs have become accessible, and therefore, more inclusive. Rabbi Yehoshua B. Gordon, who passed away in 2016, and his wife, Deborah Gordon, together with Rabbi Mordechai and Chave Einbinder of Chabad of the Valley in Tarzana, Calif., created the first handicapped-accessible mikvah on the West Coast and one of the first in the world in 1995. She noted that people in the area and beyond who see or hear about the mikvah have “great awe and appreciation” for it. Those who tour the mikvah are “very impressed with the impeccable cleanliness and use of technology,” notes Rabbi Einbinder. He recalls that when asked about a small section of the metal railing that seemed a bit shaky, the rabbi would snap into action, showing visitors how it worked. He pulled it up and out, and then opened an unused door where a seat and track lifted out for use, allowing women to safely and comfortably immerse in the water according to the proper requirements of Jewish law. He adds that they are in the process of a major makeover on the mikvah and making upgrades. 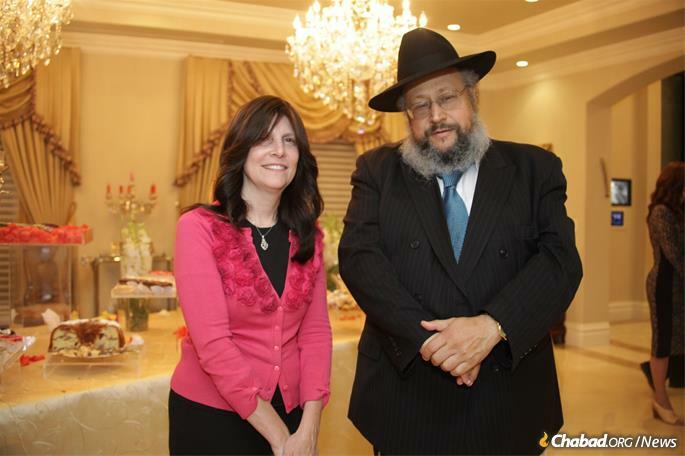 Rabbi Mordechai and Chave Einbinder of Chabad of the Valley in Tarzana, Calif. Rabbi Eli and Sarah Langsam in Peoria, Ill., also have a mikvah with special accommodations, including a metal railing that goes around the mikvah for women to hold on to, as needed. A few issues those involved with accessible mikvahs note include the moderately added expense for the extra amenities, the strength necessary for someone to adjust the lift and put it in place for use, and certain scheduling issues for men’s usage (as women make regular appointments). But they say that more and more people who might once have had limited access to certain places now are able to visit venues that have made adjustments to serve their needs. And it’s only increasing. 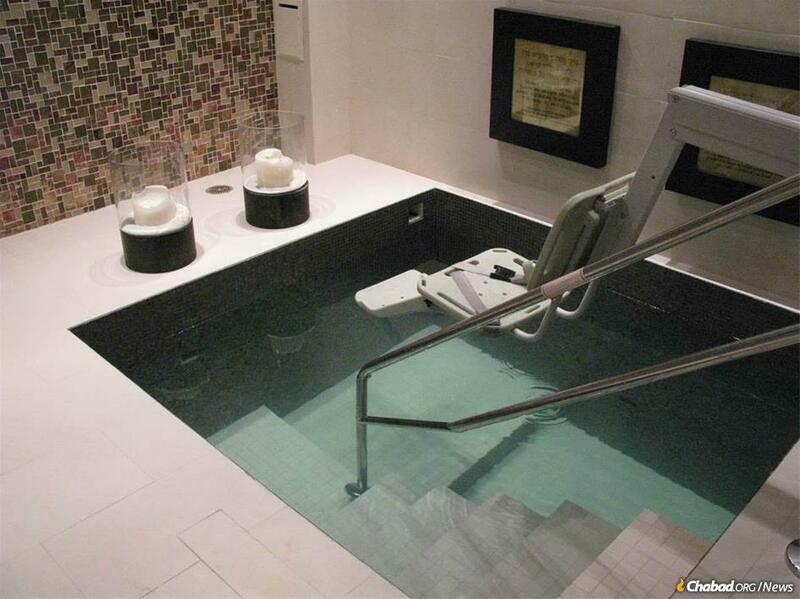 Rabbi Raphael and Goldie Tennenhaus came to Southeast Florida in 1980, and opened Chabad of South Broward in Hallandale, Fla. Their mikvah, completed in 2009 and located in a heavily Jewish populated area north of Miami, incorporates a hydraulic lift. As such, it draws women from around the country who fly in or drive hours for its use. He notes that with the necessary effort and dedication, anyone can make their mikvahs accessible for all women. “The sad reality is that we had heard that because of the difficulty, some women gave up going,” he says. Women with multiple sclerosis, for example, need the water temperature to be about 10 degrees cooler than usual, so arrangements are made for this adjustment. Heat, including hot water, can produce a temporary worsening of symptoms, according to the National Multiple Sclerosis Society. She laments that fact that more mikvahs aren’t able to make such accommodations; after all, it’s South Florida, and there are lots of places (theoretically) to go. But the situation is changing and has been moving in the right direction: inclusivity. 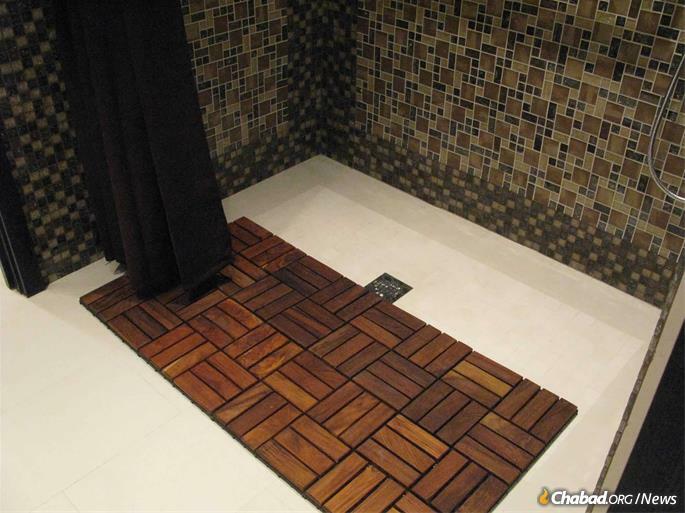 Chabad of the Valley in Tarzana, Calif., created the first handicapped-accessible mikvah on the West Coast and one of the first in the world in 1995. More common than hydraulic lifts are mikvahs with wheelchair-friendly showers and specially trained attendants. Without a lift, grab bars or assistants trained to help those with disabilities, women can ask friends or family to help them into and out of the mikvah, as well as during the actual immersion process. But given the sensitivity of the ritual, this is less than ideal. The hydraulic lift is portable and can be moved to the men’s mikvah. While men using the mikvah aren’t required to do so by Jewish law, some utilize this ritual, and the lift helps them do that. A mikvah is not required to be ADA-accessible and meet the regulations of the Americans with Disabilities Act, which was enacted in 1990 to provide, among other things, wheelchair-ramp specifications, codes and handicapped access guidelines that most businesses are required to meet. “But we went from soup to nuts—from ramps at the drop-off area to special showers and oversized preparation rooms. Everything is totally accessible,” says Tennenhaus. To use the lift, a person sits inside, gets strapped in, carried over from the dry area and lowered gently into the mikvah water. After immersing, the individual is lifted back up. I know another location - trying to help Huge mitsva!!! I believe there is one in Jerusalem and one at 212 Williamsburg st in Brooklyn NY. This is wonderful! I have desired for years to attend a Mikvah facility, unfortunately, due to my disability was unable to. Finally, there is a center that offers serviced for those more physically challenged. Thank you. Thank you. I don't live in the Florida area. However, this gives us hope that many other centers will try to modify their facility as well.